This was the 25th year for the great American event. Should this nuttiness continue... you be the judge... I know we had a ball. And they make fun of me for going to tractor pulls back home in Ohio. Sheez...They started the show by having this kids race their bikes through. They didn't make it very far as you can see. 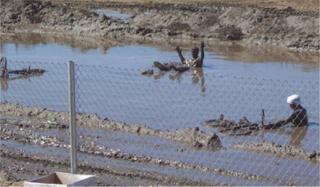 Then they tried to push the bikes through but kept slipping and falling in the mud again. 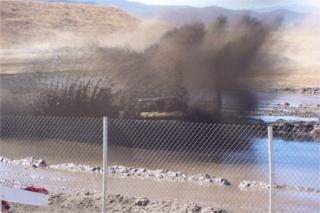 Here you see one vehicle stuck in the mud while his opponent races through the other side. 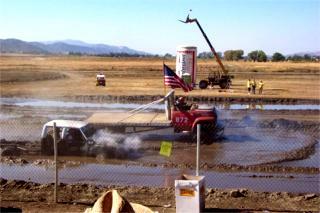 There were all kinds of vehicles and as far as rules, they advertised that beer and mud were all it took. Winning didn't seem as important as just plain having fun. 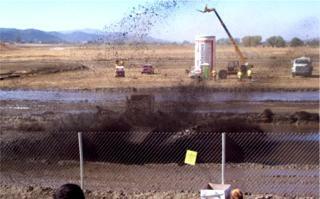 As you can see in this shot the mud is probably thrown 30 feet in the air. The vehicles that went the fastest were the ones that had rear wheel drive, the engine rear mounted, and some kind of mud plate in front. 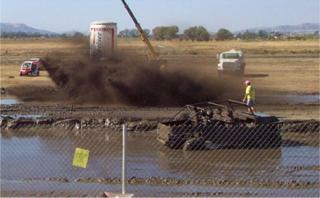 The object was to hit the mud as fast as you could and hopefully skid across a good long way before you sunk down in. Check out this.. a real low rider and a big rider.. This truck was so high it just went right through it. It didn't go very fast but it plowed right through. Cool... check out this splash. 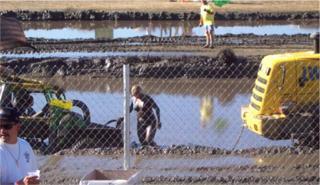 He hit the mud pretty darn fast and he was a blast to watch. 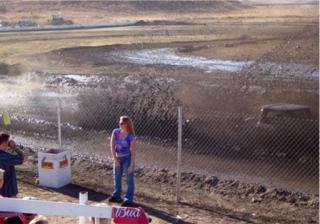 Let's see now we have trucks, mud, loud vehicles, girls and beer. Is this something that should continue?